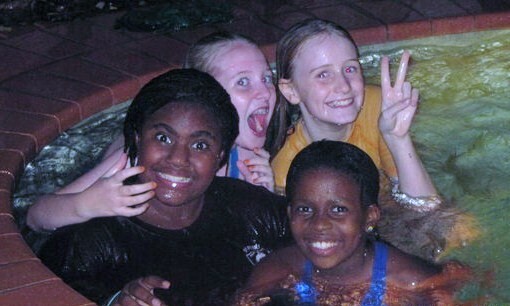 I just love this photo of my niece Caitlin and her friends having fun in the pool . It makes me smile every time I look at it! Happy looks good on everyone hey? Large Format Posters.com, who are specialists in photo canvas printing and large format printers have offered to give one of my USA based readers (I know, I am sorry for anyone outside the US) a 16 x 20 canvas print of one of your favourite photos. I have never used their services before but their website looks to be full of ideas. I have some canvas art of my favourite photos and I've found it to be ultra durable and it lasts a long time. It's also kind of fun making your own 'masterpieces'. You can choose to frame the canvases or get them stretched on a wooden frame at a later time if you want. If you would like to enter just leave a comment. You can enter as many times as you like. I will use random.org to select the winner. Entries close on midnight, 23 May 2010. What an interesting idea...A Photo on Canvas...! I will have to give that some thought. I don't think I've ever seen a Photo on Canvas--knowingly! I will check them out! What a lovely photo. I would get a photo of the beach from my holiday in Thailand. Cute photo and yes happy looks good on everyone. What a wonderful, colourful Benetton picture. OOOOOOHHHH ... consider me entered. 23 is my lucky number! Hope everything is good way Down Under! It is Spring in Bend, and it is spectacular. We have over 300 days of sunshine here on the High Desert (of course not good for my already sun-damaged skin.) Lots of hats and sunscreen for me. I have a family photo, from the last time we were in Canada. It´s a favorite and that would be put into canvas, if I were to win. Love your pic too. It shows so much fun. hey put me in the drawing. I took a quick look at their site and it looks like a good service to know about. OHHHH exciting! I am in! Count me in please!! Seriously, I hope you get a chance to do something with that photo too... I can see why it would be a favorite! Thank you I would love to enter this. 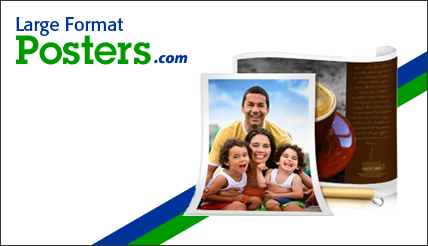 Canvas is a great way to have your photos done. I've been using http://www.posterdog.com for making collages out of various photos. I bet it'd be cool to do it with a canvas board finish instead of just on semi-gloss paper that needed a frame and glass! Please count me in! What a fun giveaway. And your niece and her friends are so cute!!! Thanks for sharing their happy faces. Hope you have a great week Lilly.